In a typical year, we estimate upwards of 15% of the entire over-wintering population dies due to predatory activities. Of all the possible predators in the sanctuary area, only 3 species prey extensively on monarchs: one mouse species and two bird species. All photos copyright Dr. Lincoln P. Brower, Sweet Briar College. To a predator, monarchs clustered by the millions can be a rich source of food and easy prey — but only those predators who can tolerate or avoid the monarchs poisons can eat them. 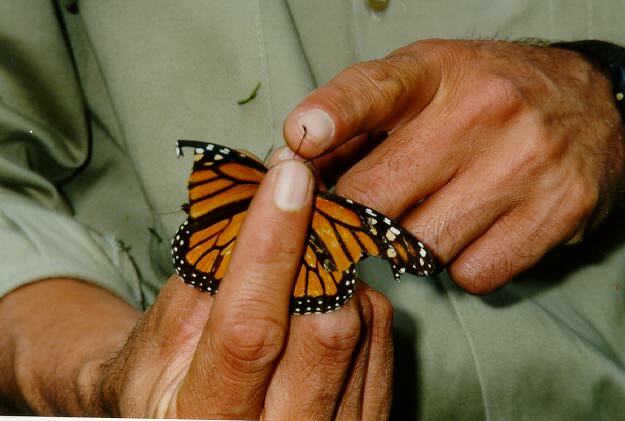 When they are caterpillars, monarchs eat milkweeds that contain toxins called "cardenolides." 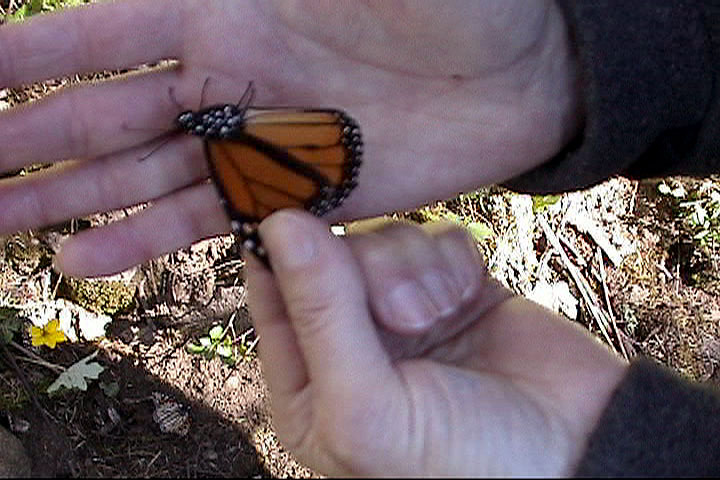 This poison is stored in the adult monarch's abdomen. 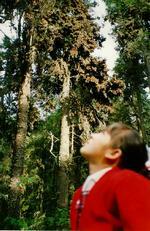 Because it is poisonous to vertebrates, the toxin is a form of defense for the monarch. 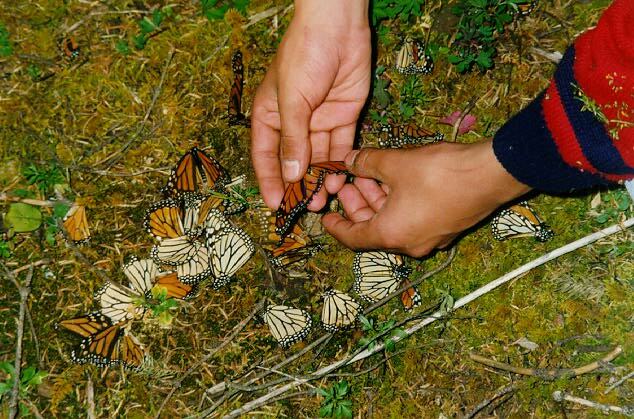 When the monarchs arrive in November, not a single butterfly wing is on the ground. 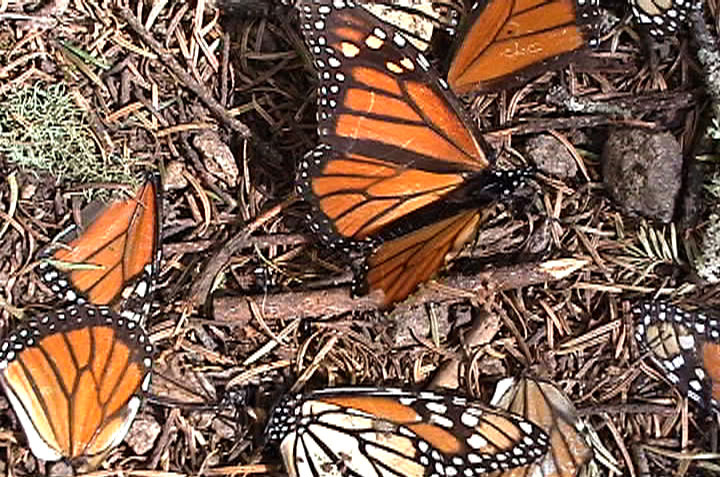 By March, the forest floor is peppered with dead butterflies. Like the aftermath of a battle, the ground is littered with fallen soldiers. Only two bird species prey significantly on monarchs, even though there are 37 insectivorous and omnivorous bird species in the region. There are 4 species of mice in the sanctuary area, but only one species is known to feed extensively on monarchs: the Black-eared mouse (Peromyscus melanotis). The orioles and grosbeaks visit daily in the morning and afternoon in flocks of as many as 5-60 birds. 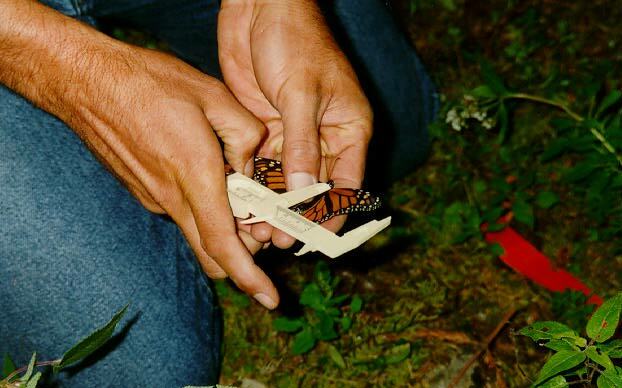 More butterflies were eaten on cold days than on warm days. 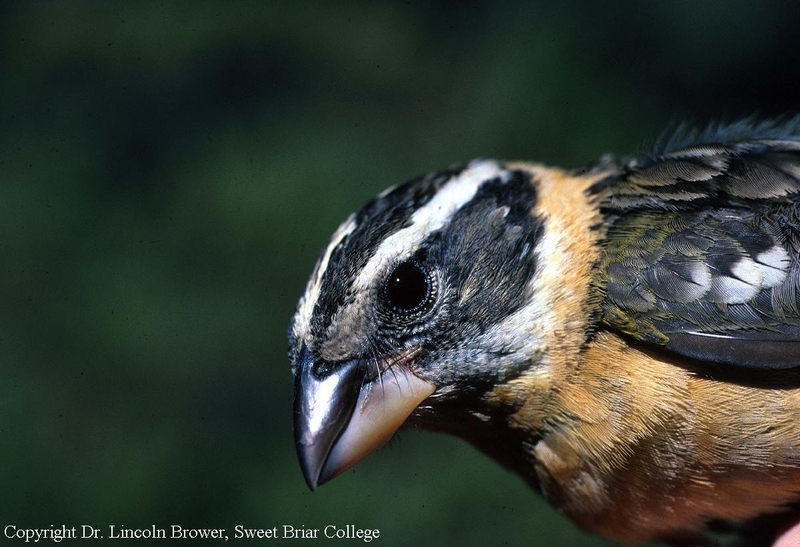 In smaller colonies, predation levels by birds reached as high as 44%. The bird predators eat more males than females, probably because the males contain less of the poisons. Females have 30% more of the toxins than do males. Mice feed at night on the living, dying, and recently dead butterflies they find on the forest floor. 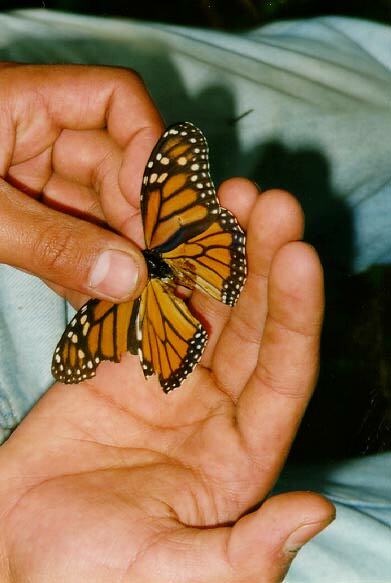 This is one of the reasons monarchs are at risk when on the ground. 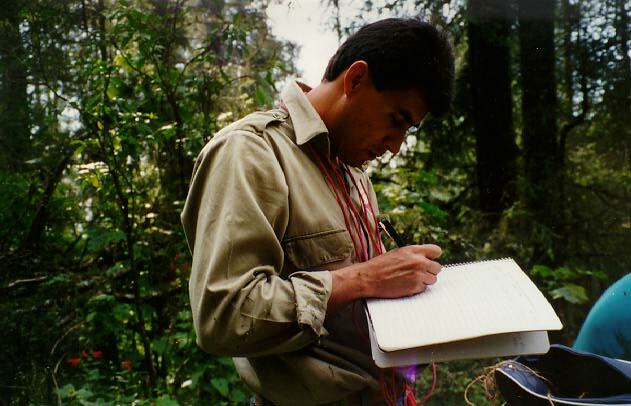 Every winter, biologists estimate the level of predation and other mortality in the colonies. 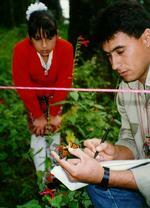 They mark off transects and count the number of dead butterflies in 1m sq. quadrants. For each butterfly, the scientists attempt to determine the cause of death (predation, exposure, trampling, etc.) 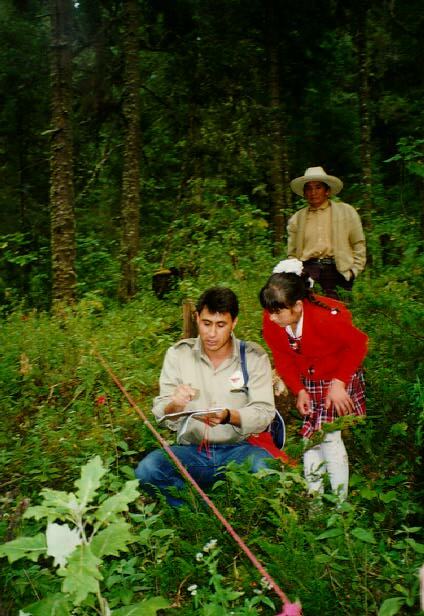 and the quality of forest habitat in which the colony was found (open or closed canopy, direction and degree of slope, etc.). They also record the time of year when mortality occurred. By collecting these data regularly, scientists try to measure normal mortality. This will give them a baseline in case catastrophic changes occur. Black-headed Grosbeak The monarch's abdomen is entirely missing. Black-backed Oriole The monarch's abdomen is present, but it appears to be "unzipped" (slit open) and the thorax is gorged. 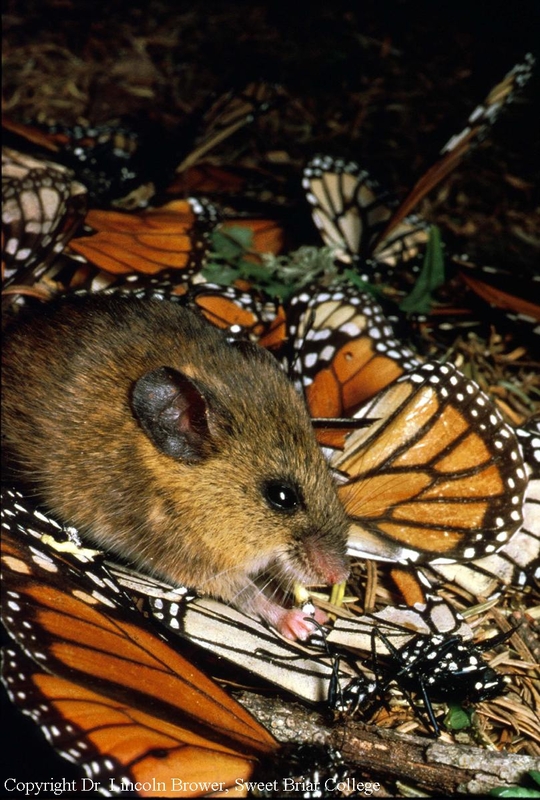 Black-eared Mouse Caches of butterflies are found on the ground, and only the wings remain. 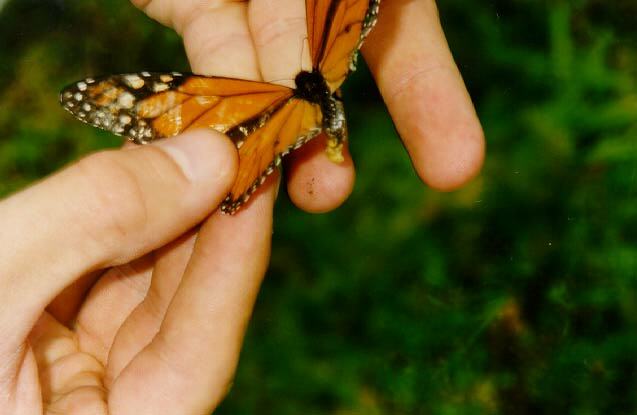 Inspect these butterflies carefully and see if you can determine who the predators were. Then compare your answers to ours. All animals depend on plants. Some animals eat plants for food. Others eat animals that eat plants. 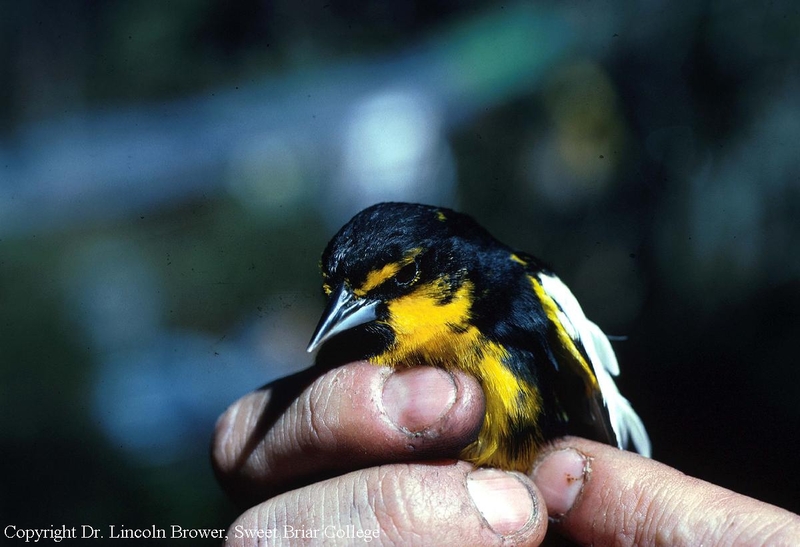 Populations of organisms can be categorized by the function they serve in an ecosystem. Plants and some microorganisms are producers?they make their own food. All animals, including humans, are consumers, which obtain food by eating other organisms.